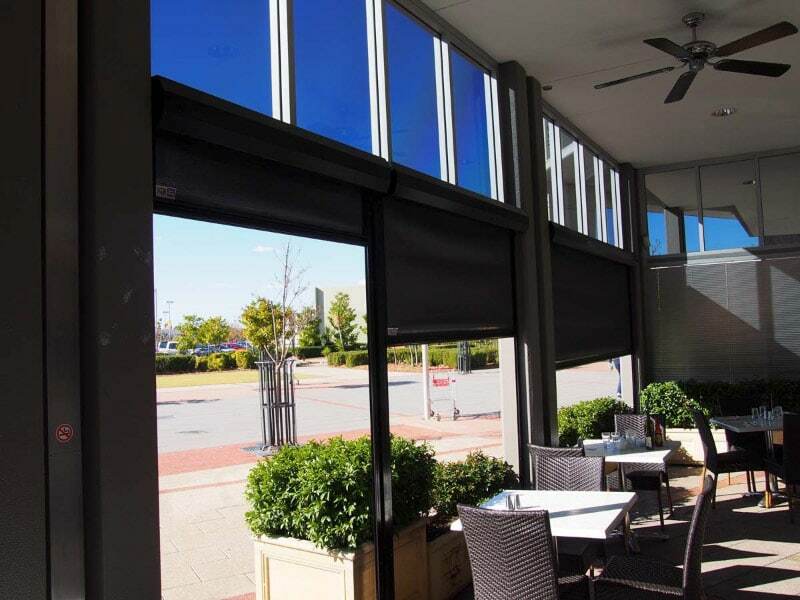 Appealing versatile outdoor blinds, perfect for all seasons. Ziptrak® blinds keep areas warm in winter and cool in summer- so you can enjoy your outdoor lifestyle no matter what the season. These simple to use blinds protect your area from harsh UV rays and unwanted pests. Ziptrak® blinds are extremely easy to use – simply pull down and push up to operate! It’s that easy to protect yourself from the elements with ziptrack® track guided blind system. Ziptrak® blinds have locking mechanisms which allow a lock feature when fully down, providing a secure hold in windy conditions. With our unique Centre Lock Release you can unlock both the left and right locks simultaneously from the centre. The unobtrusive design subtly integrates into your area and is easy to operate with no zips, wires, ropes or cords. Ziptrak® blinds from Vision Decor look great with any building style. For a more seamless integration with your outdoor area, consult with your architect or builder about recessing components into ceiling cavities and face-fixing to disguise the tracks. Whether you have a heritage listed building or ultra-modern home, Ziptrak® is a discreet solution. Windflaps for the bottom of the ziptrack® blinds in case your flooring or wall etc is uneven. Want to learn more about Ziptrak Blinds? 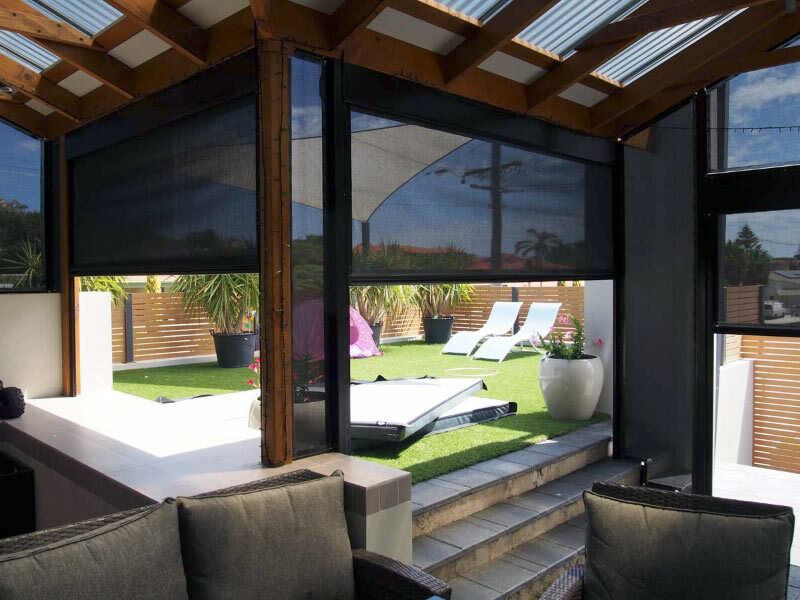 Specifically designed for the Australian elements, Ziptrak® blinds are trusted by Australian homes and businesses to provide a pleasant outdoor living space. The robust system is commonly installed throughout coastal regions and locations prone to high winds. However, the product offers protection from rain, heat and wind. Ziptrak® blinds are easy to use and simple; each one custom built to suit specific needs and designed for durability. With the sun protection mesh, the blinds keep the heat out during summer months and keeping the heat in during winter months. Ziptrak® blinds have the potential to reduce energy usage. Ziptrak® outdoor blinds instantly create a brand-new space in your home, ready to entertain family and friends instantaneously. Protected from the elements all year-round, experience a sense of seclusion and sanctuary at your fingertips. If you’re building, renovating or just want to update your space with Ziptrak Blinds, come in for a consultation. We make many of products we sell on site which helps to produce a high quality, lasting product. Our fitters are clean, prompt and will fit to your specifications.